applicable on refrigeration parts and labour. to repair or replace the unit. In the latter case, the remainder of the original warranty is honoured. 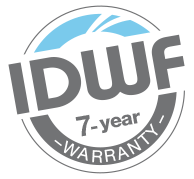 To view our full warranty, please click here. or click here to order your replacement filters.